Life teaches you how to live it if you live long enough. 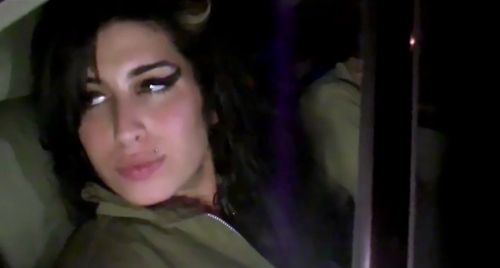 Asif Kapadia’s Senna was one of the best features of 2011, documentary or otherwise, and Amy has received similarly universal critical plaudits, a regular on the year’s Best… lists and award nominee, so expectations were high. 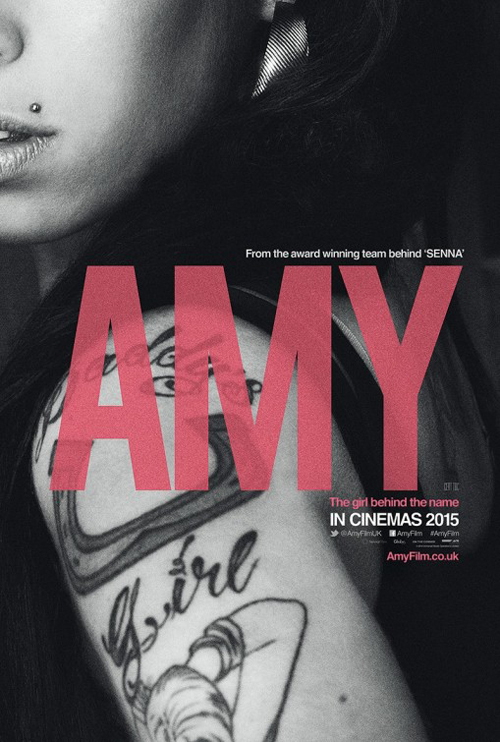 I guess it must just be me, then, because I wasn’t overly impressed, as distinctly put together as Amy is. I don’t think my not being a fan is the issue; I wasn’t a fan of Ayrton Senna, but Kapadia’s documentary was compelling throughout, perhaps because it had drive (ahem). With Amy, we are presented a familiar story of fame gone awry, which isn’t to belittle the tragedy when anyone dies young, but it’s mainly Kapadia’s stylistic decisions that lend the film any fascination in the first instance. 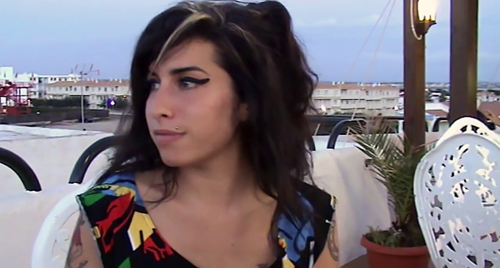 When that effect wears off – the choice to use archive and personal footage, supplemented by interview soundtracks (no talking heads) and performances (Winehouse’s lyrics appear on screen to emphasise the mirroring of her life in her art) – the piece begins to feel over-extended and even indulgent. 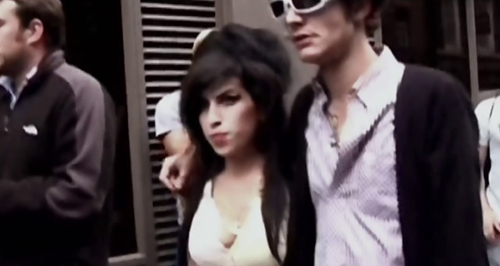 Kapadia commented that his documentary was about those who did nothing to stem Winehouse’s collapse, although he makes it clear her capacity for substance abuse was flourishing before the unforgiving lens of fame took its toll. Coming out in a particularly unflattering light are her father (showing up with a documentary crew when his daughter is seeking respite in St Lucia) and obviously her husband (suggested to be using her to fuel his own habit). Childhood friends, in contrast, are most affecting in their responses, genuinely grieving a lost friend they could do little for. Charted are Winehouse’s bulimia, alcoholism, addiction to heroin and crack cocaine, flirtations with rehab, big success with Back to Black, self-sabotage of tour dates and brief redemptive collaboration with Tony Bennett. The media tornado that surrounded her understandably gets particularly short shrift, although it’s perhaps a little flimsy to point the finger at cherry picked one-liners from talk show hosts (Jay Leno, Graham Norton – less so the vituperative Frankie Boyle) as evidence of the cruelty waged upon on her; it isn’t as if she wouldn’t have been one of a dozen different targets for a put-down in any such routine, which rather moves the focus from her to the eviscerating effect of media self-feeding generally. Also notable is her father has come out saying the doc is unfair, and Kapadia’s team have cited objectivity as defence; slightly absurd since, whatever the ins and outs of her father’s culpability in encouraging Winehouse’s apparent determination to auto-destruct, one thing Amy most definitely is not is objective; it’s very keenly trained on marking out heroes, villains, and passive bystanders by seemingly just letting the footage speak for itself. I don’t doubt any fan of Winehouse will lap up Amy, since it’s a rich source of unseen/ unheard footage and provides an effective visual scrapbook of her career while offering ample sight of her charisma (during moments of sobriety), but I came away feeling my at best peripheral knowledge of the singer hadn’t really been embellished with anything of substance. Her life as recounted is pretty much what you might have expected; a sad story of excess, but not an especially diverting one.